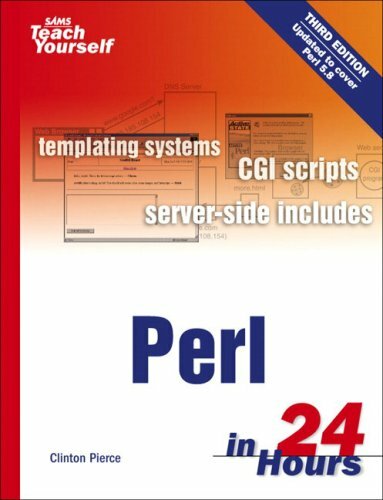 format of the "Sams Teach Yourself Perl in 24 Hours, 3/e" is the ideal way to learn for today's working professional. Clinton Pierce is a software engineer, freelance programmer, and instructor. He is a Web Architect for Decision Consultants where he designs middleware software to integrate legacy system to the Web, and teaches Unix and Perl to consultants.